Best Buy has announced the availability of its new digital download service, which will be called CinemaNow. “Beginning this month”, according to Best Buy’s press release, the service will be included on all new web-enabled LG home theater devices, and will also be coming shortly to other brands, including Best Buy’s own Insignia label. How will Best Buy’s new VOD service fare against iTunes, Amazon and other competitors, Insiders? 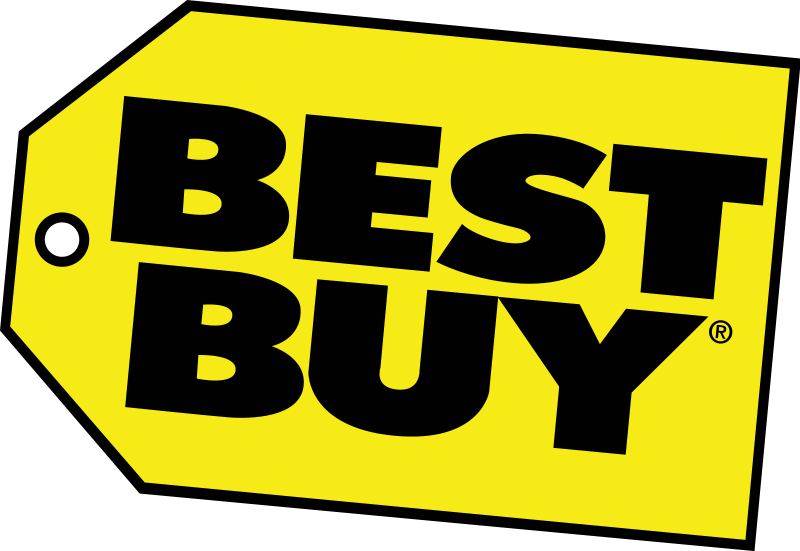 With several new release titles available for download the day they are released for sale, Best Buy will have an advantage over Redbox and Netflix with many titles. Hit the comments and let us know if you plan on using this new service and what you make of its prospects. MINNEAPOLIS, May 18, 2010 – Best Buy Co. Inc (NYSE: BBY) today announced the availability of its new digital video service CinemaNow which will provide customers same-day instant access to new release movies and TV shows. The service will initially be accessible through select connected Blu-ray Disc players and HDTVs, and on most PCs via the web at www.cinemanow.com. Beginning this month, the service will be available on all new connected Blu-ray Disc players and home theater systems from LG Electronics. CinemaNow is also expected to launch on an array of other devices from various manufacturers, including Insignia, later this year. CinemaNow, the result of the previously announced strategic relationship between Sonic Solutions® and Best Buy, will be powered by the RoxioNow™ technology platform. Best Buy owns the legal rights to the CinemaNow trademark, and will use it going forward to market the service to consumers who will have the ability to buy or rent from an extensive library of premium content, including new release movies and TV shows, with no subscription required. The platform will also allow customers to seamlessly access their premium content on a wide range of Internet-connected devices from multiple manufacturers. The initial product launch, which is expected to be followed by an improved and updated version later this year, will allow customers to easily browse, search and purchase premium content through a highly-functional, straightforward user interface, and will deliver a high-quality viewing experience through enhanced playback technology. The first update to the CinemaNow service is expected to release on select devices later this year and will include an advanced user interface and expanded video playback features aimed at further improving the video entertainment experience. With operations in the United States, Canada, Europe, China, Mexico and Turkey, Best Buy is a multinational retailer of technology and entertainment products and services with a commitment to growth and innovation. The Best Buy family of brands and partnerships collectively generates more than $49 billion in annual revenue and includes brands such as Best Buy; Best Buy Mobile; Audiovisions; The Carphone Warehouse; Future Shop; Geek Squad, Jiangsu Five Star; Magnolia Audio Video; Napster; Pacific Sales; The Phone House; and Speakeasy. Approximately 180,000 employees apply their talents to help bring the benefits of these brands to life for customers through retail locations, multiple call centers and Web sites, in-home solutions, product delivery and activities in our communities. Community partnership is central to the way we do business at Best Buy. In fiscal 2010, we donated a combined $25.2 million to improve the vitality of the communities where our employees and customers live and work. Beside being on new HDTVs and Blu-ray players not sure how the service is any better than Amazon VOD, or any of the other services. Amazon VOD has all the same new movies for rental for the same price. Most new rentals are priced at $3.99. Call me cheap but when I can get it at RedBox for $1 I’ll go for that. If they could price these movies at $1.99 I think I’d go for them for convenience, even though the three Redboxes across the street aren’t too inconvenient. Regardless, good to see new companies competing in this market. I’d be interested to know if CinemaNow will have a app that works on my PS3 or Xbox? That’d be cool. I agree with “az” … for me it’s all about the $1 rental. If they can compete with that, I’ll give them a try and if not they better have some damned rare titles available for me to try them. We just tried the CinemaNow service last night and while the video quality was good to very good, there were a couple of four second delays while the movie buffered. This doesn’t usually happen with my Netflix viewing. CinemaNow has a couple of things going for it, first thing is the availability of newly released videos as apposed to Netflix where I would have to wait for newly released movies and hope that Netflix offers them as streaming videos or wait for them in the mail. The second is CinemaNow gives me the ability to search for movies directly from my Blu-Ray device, while Netflix requires that I log into my account from a computer and place videos in my watch it now queue. Keep in mind that Netflix is under ten dollars a month and gives unlimited streaming and one movie at a time delivered via mail. CinemaNow is $3.99 per movie for new releases and lets face it most people are looking for new releases so you could quickly surpass the Netflix cost by renting only three movies per month. Unless you are very impatient or suffer from ADHD, it seems to me that Netflix is the way to go, mixed with the occasional redbox rental for those “I just have to see it now”, movies .